Dubai, UAE, 19 March, 2019: With Mother's Day around the corner; treat the most special woman in your life to an exquisite collection of fine fragrances from homegrown luxury fragrance brand Sawalef Perfumes. 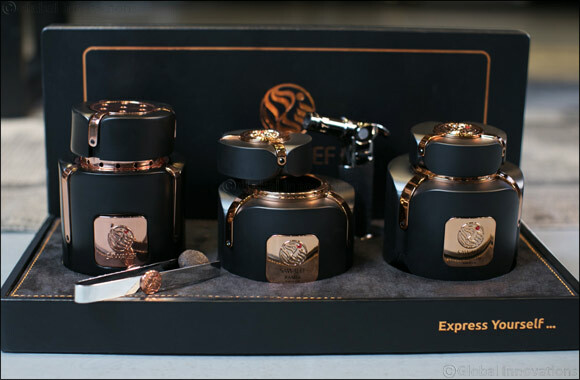 The prized perfumer is launching three classic fragrance and bakhoor sets specially for Mother’s Day, including the Sawalef Private, Sawalef Perfume and Sawalef Almajles Set. This box holds scents to compliment the strong personality of the wearer and the entire set is encased in white leather and lined with exquisite velvet saffron. The Sawalef Private set opens up to reveal a collection of Bakhoor, Oud Muattar and four exquisite fragrances along with a Sawalef Mabkhara. The box includes Bakhoor Ramsa and Bakhoor Hind, which is a combination of White Rose, Jasmine, Musk and Cloves. The wearer can savor the aroma of Vanilla and Amber in Muattar Al Mulook and the harmony of White Rose, Iris, and Sandalwood in the Muattar Al Mohra, both of which capture a subtle French and Oriental touch.